We went to Atwater village in Glendale to a friends music studio this weekend. We took some photos against some wall art on the street. 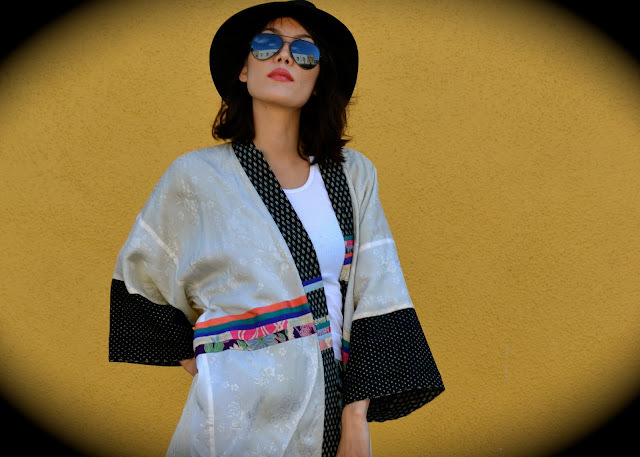 I am wearing a vintage kimono that is reversible and cut off shorts.